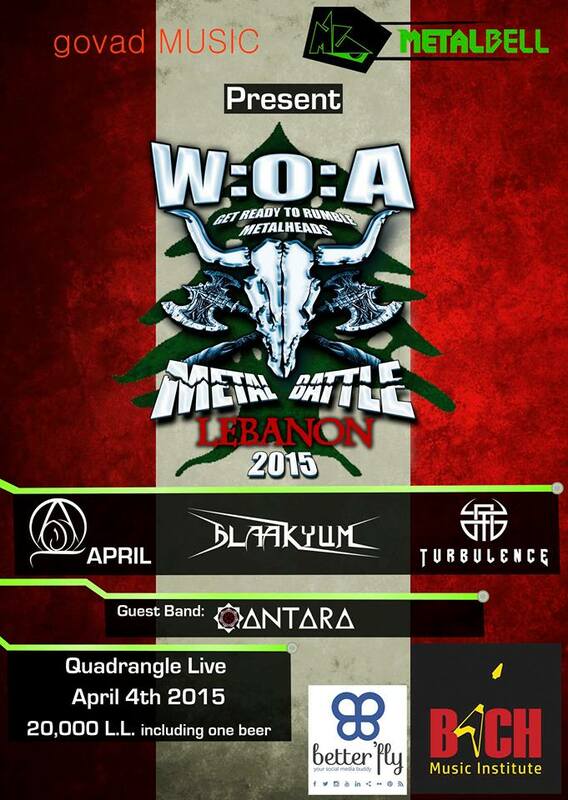 Wacken’s battle of the bands hits the Lebanese scene in early April! Wacken Open Air, the biggest metal festival in the world (selling out tickets one week after ticket release for 10 consecutive years), has been arranging for the past 11 years battles around the world giving competing bands the chance to play on the Headbanger’s stage of the W:O:A Festival. This year and for the first time a battle is being organized in the Middle East. Lebanon and UAE will take part of it and the qualified band from each country will play the final battle in Egypt alongside with international headliners. The winner will represent the Middle East in W:O:A Metal Battle on the Headbanger’s Stage in the holy land of Metal: Wacken – Germany. The bands will be judged according to their music, performance, presence and crowd interaction. The Lebanese rockerista has been performing for more than 10 years now. She has organized, participated in and been a part of most of the major rock/metal events in Lebanon. Nathalie is also a business woman, owning and managing her own company Better‘fly, and is a core part of the Metal Bell Magazine Family. A music instructor & owner of Govad MUSIC, with 25 years of international business experience, holding the positions of project manager, marketing manager and business development manager. She received professional education in Booking and Artist Management at the EBAM in Munich and in Online Media at the Bavarian Academy for Journalists.